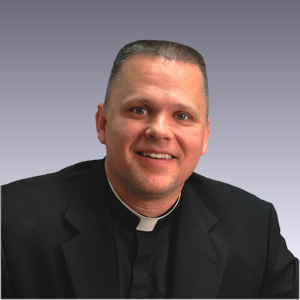 Father Chris Alar, MIC, is a priest with the Marian Fathers of the Immaculate Conception of the Most Blessed Virgin Mary. Fr. Chris wrote and produced the popular "Divine Mercy 101" DVD and is the author of the soon-to-be released book After Suicide: There is Still Hope for Them and You. He is an international speaker and is a regular host and guest on EWTN. He also hosts the online "Divine Mercy Matters" series at DivineMercyMatters.org. Currently he serves as "Fr. Joseph, MIC," the director of the Association of Marian Helpers, and is the head of Marian Press, located on the grounds of the National Shrine of The Divine Mercy in Stockbridge, Massachusetts.